Panama's parliament passed a bill on Monday that elevates tax evasion to a criminal offense, in a move the goverment hopes will enable the country to stay on the right side of international regulators. Just two days later, the European Commission (EC) added Panama to its blacklist of countries deemed "uncooperative" on money laundering. The new law in Panama classifies evasion of taxes worth $300,000 or more as a crime, and will impose prison sentences of between two and five years for crimes deemed to be fraudulent. Those found guilty of the offence will also be liable for charges of between two and ten times the total sum evaded. We say no more. It was high time for Europe to act." Law 70/2019, which was sanctioned by president Juan Carlos Varela, will leave the Bahamas as the only jurisdiction in the region not to categorise tax evasion as a criminal offence. Panamanian legislator José Antonio Domínguez, of the ruling Partido Panameñista party, said the new regulation is intended to eliminate any attempt "on the part of the lawyers' association to cover money laundering acts" via creating anonymous corporations. 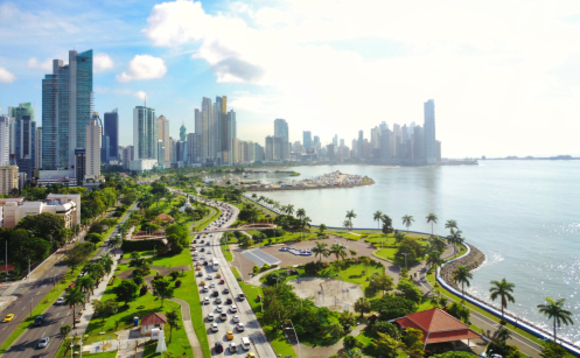 Panama has struggled to remain clear of Europe-based regulatory blacklists, notably those of the EU and OECD, in the three years since the 2016 Panama Papers scandal resulted in millions of financial documents being made public. The law firm at the centre of the ensuing scandal, Mossack Fonseca, was dissolved in April 2018. In January last year, Panama was removed from the EU's "tax haven blacklist." As reported, the lifting followed Panama's formally signing up to the OECD's automatic exchange of information programme, known as the Common Reporting Standard (CRS) that same month. Yet this week's development came alongside the publication of a newly extended EC blacklist of "uncooperative" jurisdictions. The extended blacklist includes Panama among a longer list that adds Puerto Rico, Saudi Arabia, the Bahamas, Iran, Nigeria and the US Virgin Islands. The new blacklist is essentially a measure against money laundering, and will compel EU-based banks to carry out more strenuous checks on the origin of transfers. Věra Jourová, the European commissioner for justice, defended the new list on Wednesday: "In Europe, scandal after scandal, many people have become disillusioned about the rules; that the rich and the cheaters play a different more privileged game. We say no more. It was high time for Europe to act." Jourová added, "The commission stands ready to work closely with [these countries] to address these issues in our mutual interest." The new EC list extends to 23 countries, up from 16 in the previous one.